Iconic friendships on and off screen. 1. When Alexandra Shipp (Abby) posted this pic and described Katherine Langford (Leah) as "an incredible friend" and "an insanely talented actress". 2. And when she shared this hilarious behind-the-scenes shot, and said, "We love you, Simon, you’ve changed our lives". 3. 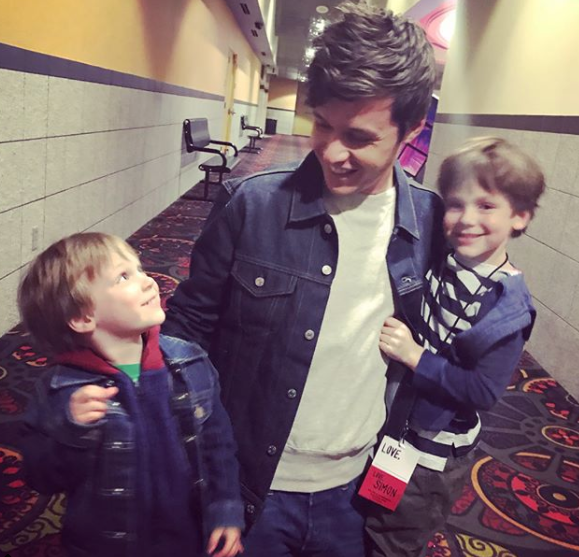 When director Greg Berlanti snapped this cute photo. 4. When Alexandra made sure Nick Robinson (Simon) was looking his best. 5. When Nick shared the most romantic thing he's ever done and Katherine loved it. 6. And then when he told the same story again and Katherine and Alexandra low-key dragged him. 7. When Alexandra and Katherine fanned the flames of the Leah x Abby ship. 8. When Keiynan Lonsdale (Bram) revealed his biggest celeb crush. 9. When Nick and Katherine played with puppies. 10. 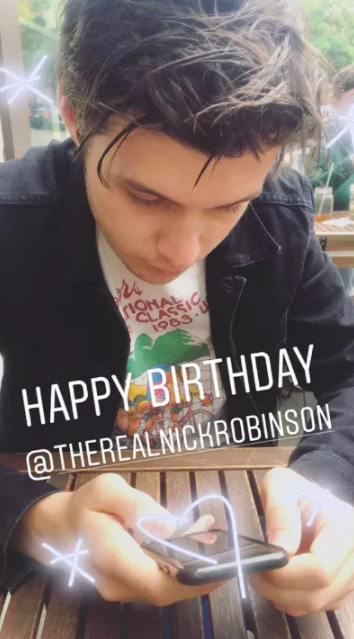 When they celebrated Nick's birthday together while on tour in Australia. 11. And Katherine shared these polaroids of their time down under. 12. When Nick paused in the middle of an interview to exchange compliments with Keiynan. 13. When he described his kisses with his love interest Blue as "magic". 14. And when he revealed a letter to his younger self would say, "Don't take it all so seriously. Love, Nick." 15. When Nick gave credit to Ellen for everything she's done for LGBT representation. 16. And when he talked about why representation matters. 17. When Keiynan talked about how much he related to the script of Love, Simon. 18. And shared his own journey of coming out. 19. And had this lovely message for others. 21. 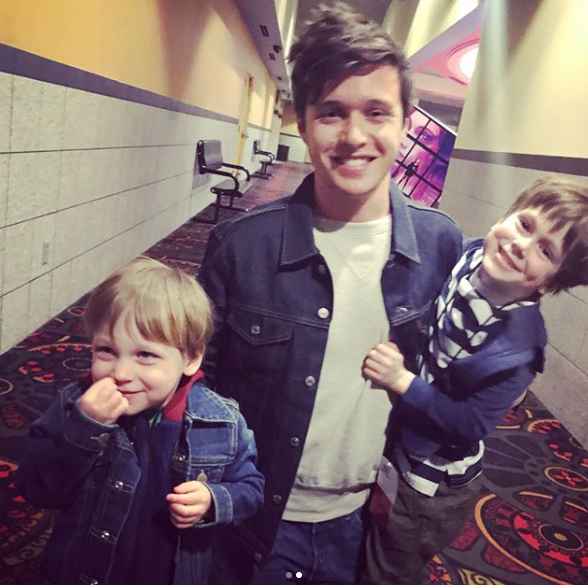 When Becky Albertalli, author of the the book Love, Simon is based on, shared this photo of Nick with her two kids and labeled it, "My sons". 22. When Nick told this very relatable story of his mum coming to visit him. 23. When the cast tried to make each other smile in the compliment challenge. 24. And then when they posed like this and were too adorable for words.